Copyright Notice: TWIRLYWOOS™ DHX Worldwide. 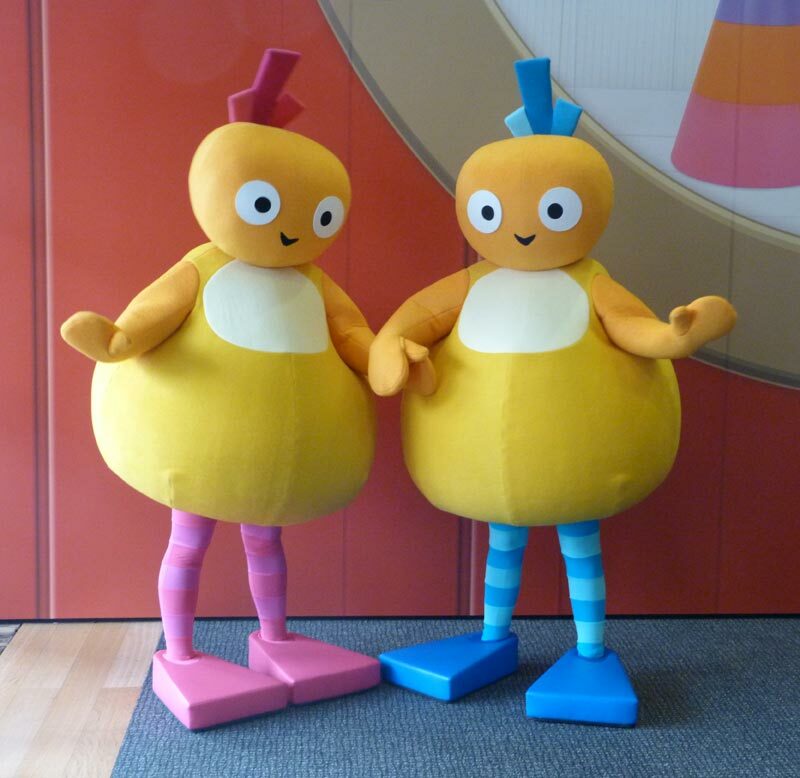 These are the official the Twirlywoos licensed characters, the Twirlywoos. 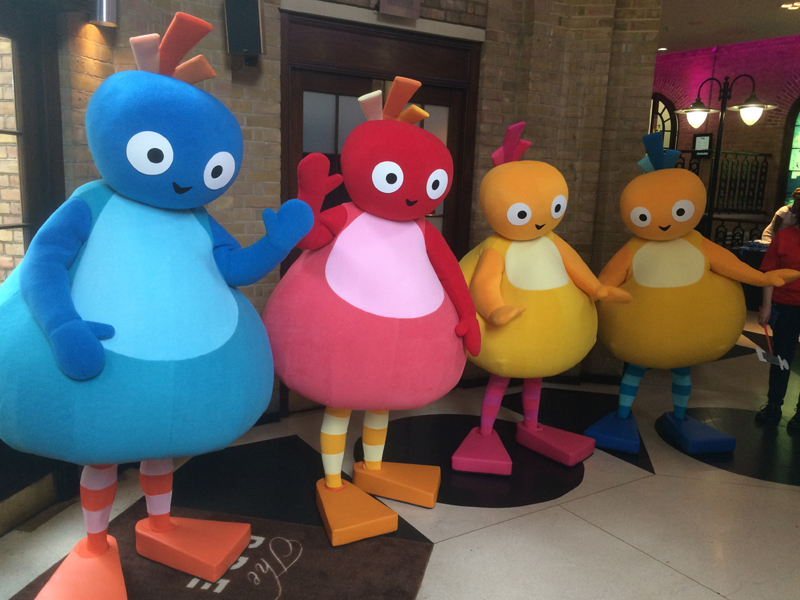 Rainbow Productions holds the UK’s official licence to manage the personal appearances of the Twirlywoos at public events on behalf of the brand owner. 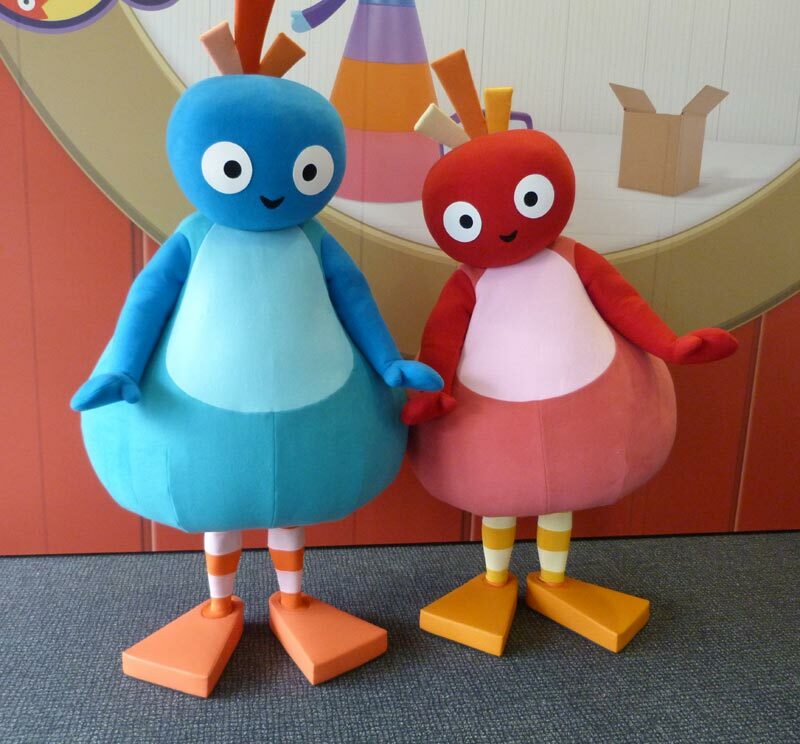 The Twirlywoos are four curious, fun-loving bird-like characters. They love adventure and discovery and can be found either in the real world or on their big red boat. Chickedy & Chick are the smallest, yellow ones and are inseparable. They are fast, energetic and excitable and you will never see one without the other. Toodloo is the red one. She is flamboyant and loves to sing and dance. She is head-strong and spontaneous and always ready to take on any problem that arises. Great BigHoo is the largest blue one. He takes an interest in exploring new objects and figuring out how they work. 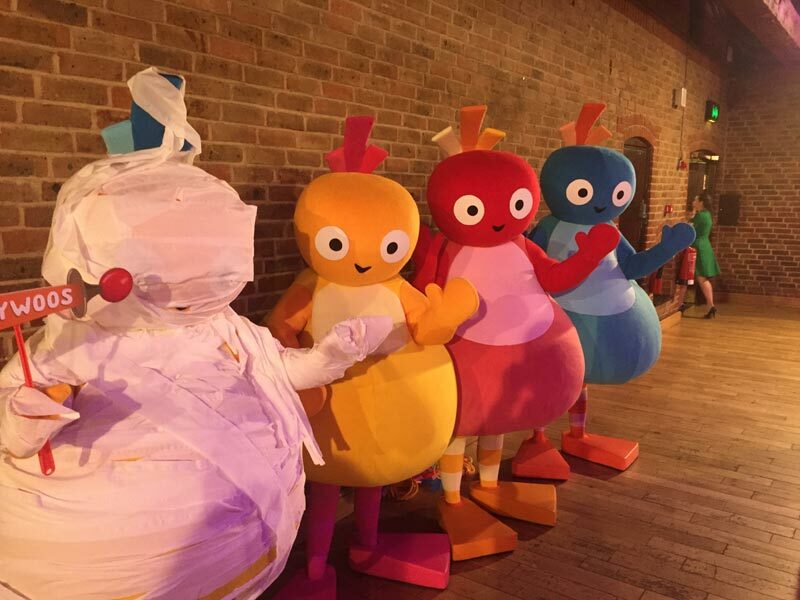 Twirlywoos is a live action / animated series developed by Ragdoll Productions’ Anne Wood; the creator of hugely popular and iconic properties such as the Teletubbies and In the Night Garden. The BBC commissioned a second season in early 2016 (25 x 11 minute episodes), bringing together the DHX and Ragdoll partnership again. Leading Education Expert, Professor Nutbrown, also played a key role in the creation of the show. The show engages pre-schoolers through use of slapstick humour, silly fun and surprises; encouraging children to laugh out loud and gain confidence in the world around them.